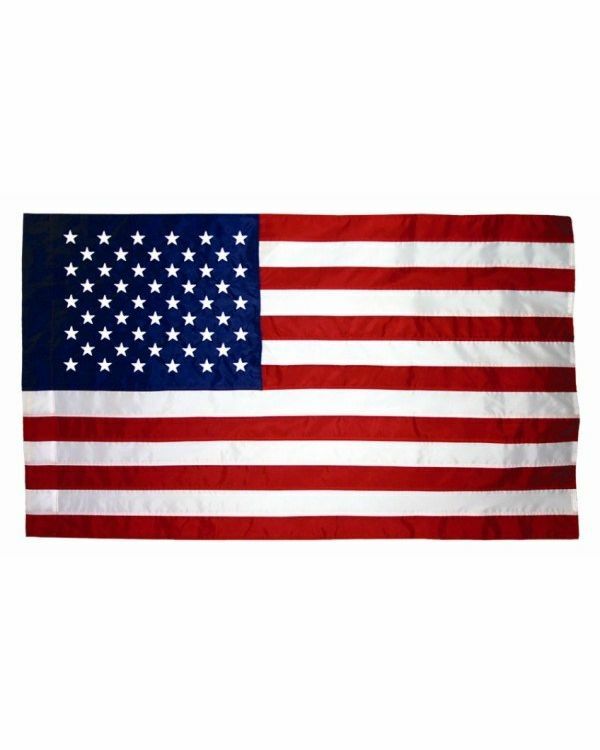 When it comes to flags, this is the best of the best, the finest U.S. flag available. This 3 x 4 ft. National Ensign is a popular choice with our federal government patrons. Made of a woven of heavy Bemberg rayon fabric, has large embroidered rayon stars and is finished with a flannel-lined side pole sleeve. Please note, this fabric may stain if it becomes wet. Made in U.S.A.